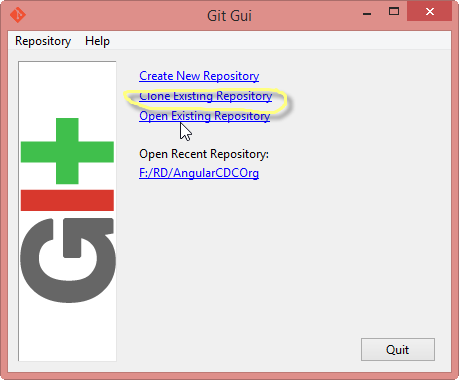 Open Git GUI and click Clone Existing Repository link. It will open a window with two fields, there you can specify Source location and Target directory. Please make sure that Target directory doesn’t exists. 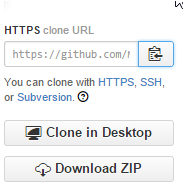 You will get the clone URL from GITHUB repositories. Copy that URL and paste in to Source Location and then click Clone. 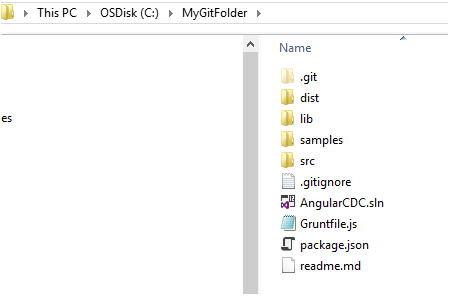 Now it will create git repository on your local by creating a new folder.